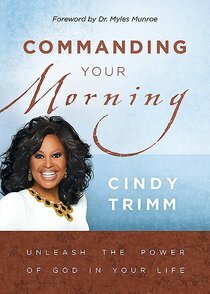 Following the style of her best-selling co-published books, this small book is based upon the biblical principle of beginning your day (not always a literal day) by following a prayer strategy for declaring the things that God has decreed are available to all believers. It instructs the believer with kingdom principles that can be activated by decreeing with your tongue the power and authority of God to legislate, regulate, enforce, establish, institute, constitute, reign, rule, and dominate over the enemy. The reader will learn how to take command of the morning through spoken declarations that activate God's power in his or her life. - Publisher Following the style of Trimms bestselling books, this small book is based upon the biblical principle of beginning ones day with a prayer strategy that allows believers to take command of the morning through spoken declarations that activate Gods power in his or her life. Following the style of Trimms bestselling books, this small book is based upon the biblical principle of beginning ones day with a prayer strategy that allows believers to take command of the morning through spoken declarations that activate Gods power in his or her life.